Great organizations attract great talent, and for those who aspire to rise above the competition, building a standout employer brand is key. It all starts with the foundation of understanding your target audience and their motivations. What do workers value the most when choosing an employer? It is no surprise that the 2015 Randstad Award research again confirms salary and employee benefits as the top priority for job seekers around the world. However, they are valued notably less this year than previously. What does this mean for your organization? Not the least an increased need to more clearly promote the softer benefits of your employee value proposition (EVP) but also the opportunity to develop messaging that reflects the wider range of preferences for each specific target group. Our research shows that two-thirds of workers (63%) around the world view salary and benefits as one of the top five most important criteria in considering an employer, falling from 67% in 2014. At the same time, the importance of long-term job security has declined, with 52% citing it as a top five concern. Overall, we see that a better global economy, growing skills scarcity, and improved worker outlook are leading to much higher employee mobility than in recent years and a more flexible candidate outlook on potential employers. How do prospective workers view your employer brand? Having a baseline of how you are perceived makes it much easier to determine how to polish your brand and measure progress along the way. If you are among one of the top companies studied by the Randstad Award, we’ve done the heavy lifting for you. 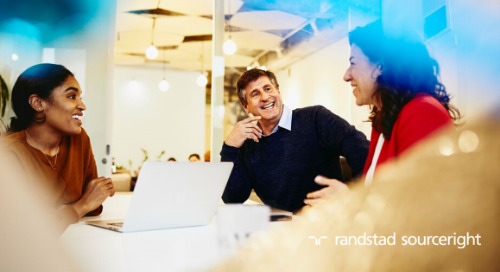 Measuring the perceptions and motivators of workers across 23 countries, the Randstad Award research gives any employer unique intelligence to help build and validate their employer brand. If you would like a copy of the Randstad Award international insights report, request it here. While your corporate employee value proposition should be consistently conveyed around the world, local branding campaigns need to be customized to each audience. The Randstad Award research provides insights for honing your messaging at local level for maximum impact in key markets where you operate. Armed with this kind of knowledge, you can develop a more relevant campaign and generate more interest in your brand. By providing regional and local insights, the Randstad Award research gives you contextual knowledge you won’t find anywhere else. What can competitive intelligence tell you about your brand? The Randstad Award research provides detailed information for sectors and individual companies, so you can see how you stack up against competing organizations in each of the 23 markets. Having this insight helps you understand how to fill gaps and reinforce your strengths. You can also learn by taking a close look at the winners in each country. How have these organizations leveraged their overall brands to become attractive employer? Are they known for top-level service? Do they prioritize people? Is corporate social responsibility one of their strengths? By understanding how leaders around the world elevate their brands, you might just come away with a few ideas of your own. With talent scarcity increasing across the globe, employers no longer can take for granted that an attractive compensation package will hook great hires. Already, many HR economists are predicting pressure on salaries will rise this year in the most healthy economies, and it’s just a matter of time before recovering markets follow suit. If you hope to avoid a wage race with competitors and really engage critical talent, it’s time to take a hard look at how your employer brand is perceived in the market, and how you can build a compelling EVP to stand above the competition.